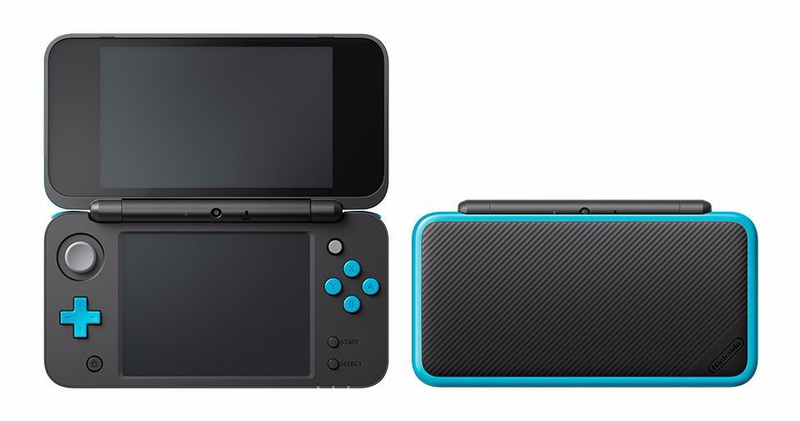 With the New Nintendo 2DS XL due out in the West in a couple weeks, it seems that now is as good a time as any for Nintendo to give the 3DS family system OS a bit of an upgrade, especially given that the last update came out in April and only added more stability to the system. So, what has Nintendo sprung for with this new update to the firmware? Screenshots without opening Miiverse? Speed improvements to the occasionally sluggish menu screen? Multitasking with multiple pieces of software? As it would happen, none of those things have been added this time around, but there has been one exciting new addition which has been a long time coming. And that feature is even more stability. If you download 3DS OS Version 11.5.0-38, prepare to experience a level of stability for the platform that simply exceeds your wildest imagination. This software is as stable as it gets, and although it may not be including any other new features, you can rest easy knowing that it has been custom made “to enhance the user experience”. What’s more is that the 2DS XL will be able to take full advantage of this new firmware, making it Nintendo’s most stable 3DS launch yet. Not bad, eh? What do you think? Have you downloaded this extra stability yet? Will you be getting a 2DS XL? Share your thoughts in the comments below. I've never met another company who consistently met with our hungry demands for critical values. No stability in the word will bring me back to my 3DS now, it passed the perfect stability so now I've moved on to Switch. Wake me up when that gets more stability (but not too much). I'm guessing this patches out Ninjhax, since it's the only means for N3DS owners to install unsigned software on 11.4 without hardmodding the system. EDIT: EEH! Wrongo! Not only does Ninjhax still work, but there's also a new exploit that works on 11.5, though it requires having one modded 3DS to install Homebrew on a second one. If you mod your 3DS to play games region free or to use cheat features then prepare not to update otherwise you'll get ban for life. Remember that whenever Nintendo made an update to the 3DS, it usually means they are seeking ways to made sure your 3DS is mod-free (until the day they stop supporting it I guess). Yes, finally I've been waiting so long for them to add stability to the 3ds. It was worth the wait. Okay, typical forced jokes aside, some exciting things in this update. As I suspected, New 3DS got the most of it - while ye olde 3DSe got system settings, 3DS camera, eShop, zone hotspot list, config system module, extrapad applet and ACT system module updates, the New one also received camera, GSP, MCU, QTM and placeholder menu updates. I'm surprised they didn't bump up the native firm, which means all of the hacks and sweet homebrew is still working. Can't we just be honest and say what these updates really are. Nintendo trying to keep pirates from hacking their hardware to play all games for free! 2DS launch will be so stable that they won't even need yaw control. I would love an update that brings Region Free to the 3DS (and Wii U for that matter). Unless it's at the hardware level of course, in which case I'll just take more stability. Dammit, my 3DS fell out of my hands yesterday, why couldn't they have done this update sooner? Outdated machine is outdated. It's a shame, the machine has a plethora of fantastic games, but it's time to admit it it's outdatedness. Right now Nintendo is pushing every last drop of power out of the N3DS for recent titles. I imagine Nintendo will finally begin retiring the system next year, toward the end, or in early 2019. By then the Switch will be the Nintendo system to own. I think our government needs a stability update. Maybe if Nintendo would just remove the archaic region-lock, they wouldn't need so many updates. My Switch needs a stability update. I was attempting to play Puyo Puyo Tetris with the kick-stand on a bed, kept falling over. At least, before 3DS ended, Nintendo should give an Ultimate Update for 3DS, REGION FREE !! Still the better option than the Switch. @Skunkfish switch needs way more than a stability update. Just in time for the pre-orders to open at GAME for the Metriod Legacy Edition. Godspeed and good luck!! 1) I love these articles; not even mad about the click bait. 2) They need to give the Wii U one last stability update. Will this stability help my mhgen hunter from being shook to his core when a monster slams the ground? One more stability update like this, and the 3DS may start warping reality. I think if the 3DS is any more stable, it will gain a powerful gravitational pull. We should use 3DS's as armor plating, because of how stable they are. Infinite stability. And meanwhile western buying habits are focused on the most absolutely unstable software money can buy! Fun Fact - The 3DS is so stable, that it can run Skyrim for upwards of 40 minutes without it crashing. And the New series can play them at speeds of over 3 frames per second! My 3DS wouldn't load the Nintendo Badge Arcade w/o updating first. I've always wanted to use 3DS consoles as horse shoes. Now I just need a horse. The last "stability" update actually made some games less stable during video playback for cutscenes. It was more of an instability update. @SanderEvers It actually is easily possible. All Nintendo needs to do is patch the firmware to allow it. @icebear80 It's actually Nintendo trying to ruin the fun that us modders have with creating our own software. I don't understand, my top screen is not more stable as it's as wobbly as it was before. Will the universe implode if we get to stable? Yeah my 3DS is stable... stably put away. Hahahaha. I'm off to play tennis with Don Cornelius. We playing on the moon b****, peace! In other news we're scrapping the old anti-matter drives today and in their place will be the newer, more stable 3DS drives. They will become the new standard system for all star ships. This comes as no surprise as earlier today Nintendo finally released an update allowing the system to achieve a level of stability never before seen in this galaxy. It truly is a bold and innovative move from the ever triumphant company as they continue to traverse time and space, leading us ever onward in our pursuit of stability. My 3DS should be the most stable thing on this planet by now, thanks to all of these updates. I never realized how much I want multitasking until I thought about it after reading this. Eh, I think the best stability is the type you don't even notice. My 3DS has always performed perfectly (pardoning one brief time where it used to stay asleep after you opened it up, but that's long past). Glad to have them working behind the scenes though to keep that the standard. I still do play the system a fair bit even with the Switch, although I do wish I could bring a lot of my games over even if it took re-purchasing them Mariokart style.